The Store treated the hometown boy very nicely. 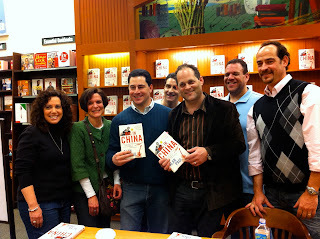 Yesterday was one of those days that I will always remember, one of the moments from this book tour that will stand out and stand the test of the time. Thank you Pittsburgh. 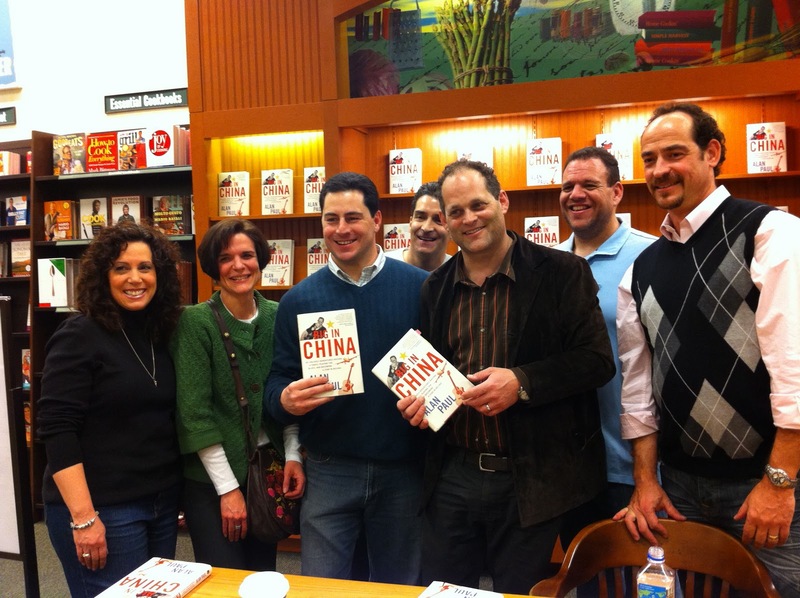 I’ll begin at the end – with a jam-packed reading at Barnes and Noble at the Waterfront. 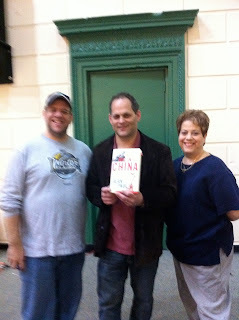 This had to be the biggest crowd I have had, with people jammed in, chairs filled, eyes popping up over bookshelves. Thank you everyone who came and the nice management of the store for putting up such a great display and making me feel so at home. Big In China is all about my experiences in China. 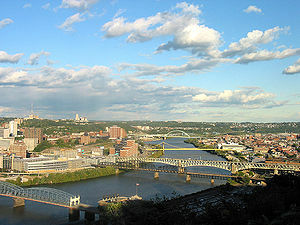 Maplewood, NJ is where I live and a place I love – but in many ways, Pittsburgh will always be my home. And that made the special feeling, the big crowd, the beautiful display very, very meaningful to me. I began the day speaking to students at my alma mater, Taylor Allderdice HS. They were attentive and involved and the school looks great. I had not set foot inside it in 27 years. 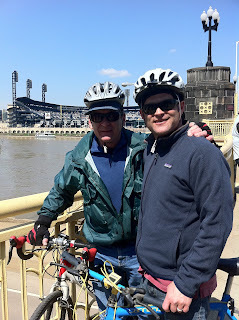 Later, my dad and I rode bikes (about 6 miles each way) to the Pirates home opener. I could barely keep up with him. Dixie remains an inspiration. Beautiful ride, on a trail by the the Monongahela River. Crossed a couple of bridges, which always makes you feel like you are in Pittsburgh and had a great afternoon on a beautiful day in a beautiful stadium – at a terrible game. “Beijing Blues” with the great Ken Karsh. Great Turnout from high school friends. Rode bikes tot he Bucs home opener with my dad, Dixie Doc. Visited my lama mater Allderdice for first time since I graduated in 1984. Tour by Mr. and Mrs. Rogie. friends since kindergarten.